First, take a look at the Signature Seminars that Syracuse Madrid offers. You’ll start your semester abroad on one of these traveling courses! Then you can check out all of the courses that are available during the fall or spring semester at the center. Syracuse Madrid offers a special cluster of courses for students who are looking to take advanced Spanish language. 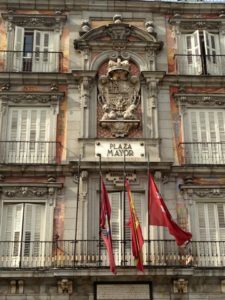 Another feature of the Syracuse Madrid program is your ability to directly enroll in a local Spanish university. There are three program options for you to explore. Of course, there are also internship & service learning opportunities to round out your experience in Madrid.